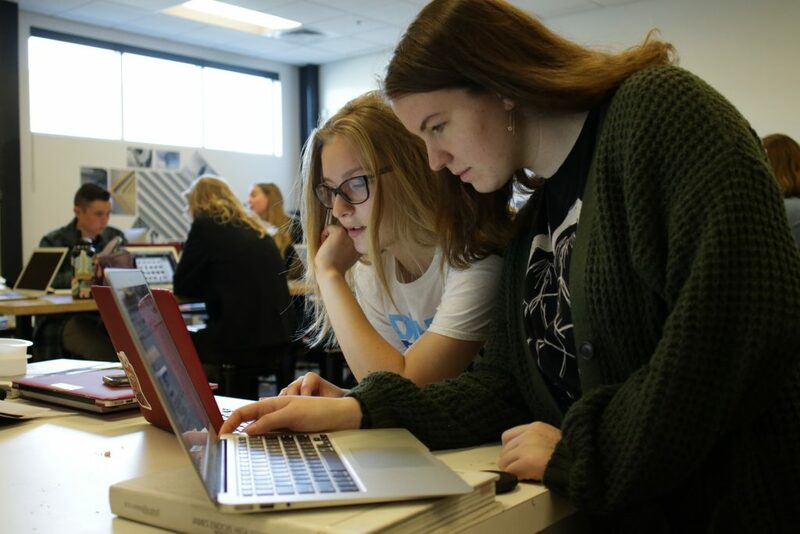 The Journalism Education Association and Quill and Scroll International Honorary Society for High School Journalists have named The Chronicle staff at Classical Academy High School in Escondido, California, as winner of the 2019 Student Journalist Impact Award. After the death of one of their classmates, the staff of The Chronicle knew it needed to do something to help the school and community learn more about mental health and the impact on their generation. What followed was an in-depth look driven by information collected in 370 student survey responses, which accounts for almost half of their student body. “Invisible Wounds,” a full-page spread, presented information that the school and community not only listened to, but used as a driving force to take action and make change. While those changes were initially small, the community continued to make adjustments. The staff of The Chronicle is the 21st recipient of this award. The JEA Student Journalism Impact Award was created in 1993 to recognize a secondary school student or team of students who, through the study and practice of journalism, have made a significant difference in their own lives, the lives of others, the school they attend and/or the community in which they reside. The Impact Award recognizes student writing that brings issues to the forefront and from the walls of the high school to the world at large. This is the first year JEA and Quill and Scroll have teamed up to judge entries and present the award. The award will be presented April 25 at the opening ceremony of the JEA/NSPA Spring National High School Journalism Convention in Anaheim, California. Founded in 1924, JEA supports free and responsible scholastic journalism by providing resources and educational opportunities, by promoting professionalism, by encouraging and rewarding student excellence and teacher achievement, and by fostering an atmosphere which encompasses diversity yet builds unity. It is headquartered at Kansas State University, Manhattan, Kansas. Quill and Scroll, founded in 1926, encourages, supports and recognizes individual student initiative and achievement in scholastic journalism, regardless the medium. It is headquartered at the University of Iowa, Iowa City, Iowa.